This entry was posted in Beauty of Women Blogfest, Martha Washington, Perfect Picture Book Friday and tagged Beauty of a Woman Blogfest, Cookie recipe, George Washington, Martha Washington, Perfect Picture Book Fridays, President's Day, Show Me How! Build Your Child's Self-Esteem Through Reading by viviankirkfield. Bookmark the permalink. I love historic children’s books…especially about the childhood of famous women. I’ll be looking this one up! Strong women have shaped history. Glad to learn about another good read. I agree, Wendy. It’s important for us to offer kids books with strong and successful female characters. I didn’t know that Martha had spent time at Valley Forge with her husband and served as an inspiration to the soldiers. What a great biography, and I love the cookie recipe. Perfect choice for Presdient’s Day this week. 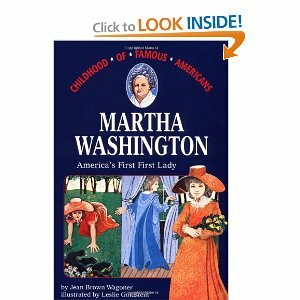 There is very little written about Martha Washington for children, but I’ve read a lot in adult books. She was an important person in history and I’m glad children can read about her. We were just having a discussion about first ladies with our kids. This book will be a perfect follow-up. Thanks, Vivian! I was surprised to find such a fun and interesting book about Martha Washington…especially because it begins with her childhood. From 1986, it’s one of the old-fashioned ‘chapter’ books. And there are plenty of illustrations that help give the sense of what thinks actually looked like. Glad you liked it, Amy! So good to see a book about Martha Washington — there is such a plethora of books about George. Thanks, Vivian! Cookies AND history? Thanks, Martha AND Vivian. Cookies and history…yes, it is a great combo. :) And the cookies are yummy! They look like they’d melt in your mouth, so light! What do I need to do to get the recipe? Martha Washington was a GREAT First Lady! Yes, she was. :) I love finding out interesting things about famous historical figures…especially about their childhood, Erik. It helps me see them as real people. Perfect Friday combination Vivian. What a great message and I’m going to make those cookies! This is a great book idea for kids of both sexes. I read books about girls and women with my boys and they don’t seem to mind, as long as it’s not ridiculously cheesy and girly (there are a lot of books like that, unfortunately). Yup Milka..it’s important to give kids great examples of strong and courageous boys AND girls. 🙂 I had fun learning about Martha’s childhood. I don’t know anything about Mrs Washington. This looks like a good way to fix that! And cookies to go along with! Thanks for sharing! And the cookies are gluten free! 😀 I’m aka @GlutenNaziMom, so your recipe made an impression. I love that you said girls can aspire to be president, and think that’s definitely something we could see with the next election. I have an essay being published in the upcoming book, 51%: Women and the Future of Politics, and the tag line is WWWD–What Would Women Do? Or What WILL Women Do? Be totally awesome, that’s what I think! You are right. Girls still don’t really dream of bring the president. And that’s a damn shame. It’s also why we need to ratify an Equal Rights Ammendnent, once and for all. Thanks for stopping by and adding your impassioned plea…it is sad…as parents and teachers, we need to encourage girls and engage with them in meaningful conversations. The media has a big negative influence as well. How clever of you to find a book that covered all your bases at once, and with such a great theme! This looks terrific. AND THOSE COOKIES!!! YUM! GOing to have to try those out ASAP! 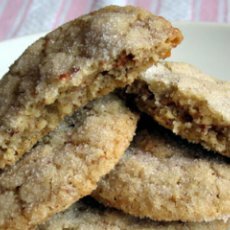 I’m sure you try to do the same, Susanna, with all you have on your plate…and maybe, if you make the recipe, you will have to add cookies to that plate. :) Are you guys getting more snow tomorrow…we are supposed to…I hope there’s not too much…I’m supposed to go to a really interesting talk on The Woman as Hero (like Joseph Campbell’s Hero/Mythology studies), but examining the role of women as the hero in books. I always enjoyed reading the biographies of historic figures . . . giving a glimpse of the past. And I think it is really helpful for kids to read about the childhood of major figures in history…it makes them more real. Wonderful cookie recipe, Vivian! We have a good friend in Colorado Springs–a former history teacher who is 6’4″ and looks and dresses up like George Washington for school and professional performances –and he can’t have gluten. He’ll love the Martha Washington recipes! I think more and more people are finding that doing without wheat products makes their bodies happier. :) Glad you liked the recipe, Marylin! I love what you chose to do for this BOAW blog fest! As a child, my favorite books were history ones about women: Elizabeth Blackwell, Helen Keller, and of course all the Dear America series. We need role models throughout our years to show us what’s possible! Sounds like a great book, Vivian. I do have to say I was distracted by those cookies, though! Yum! Thanks for coming by, Penny!